Surrendering Your Home in Bankruptcy: How long can you stay? In today’s economic climate, many individuals along Florida’s Gulf Coast can no longer afford their mortgage payments and related housing expenses. Unfortunately, the easy solution to sell the house and payoff the mortgage is not available to many homeowners as the value of their houses are often less than the mortgage balance. In Florida, the homeowner is still responsible for the remaining mortgage balance after the home is sold at a private sale or a foreclosure sale. This is called a “deficiency” and as we have seen over the last few years can be significant. For example, if you owe the bank $100,000 and at the foreclosure sale the bank receives $60,000 for your home, you still owe the bank $40,000. One solution to eliminate this problem is to file Chapter 7 bankruptcy and elect to surrender your house to the mortgage company. This will eliminate your responsibility on the entire mortgage balance even if the house eventually sells for less than the mortgage balance. In our example above, if you surrender the house in bankruptcy, you will no longer owe the bank $100,000 and the bank is not permitted to collect on the mortgage. In discussing this option with my clients, the question which is always asked is “How long can I stay in my house?” The answer is it depends but in Florida you will generally have at least four months and maybe up to several years before you will be required to vacate the premises. During this time, no mortgage payments need to be made so you can use that savings to help defray moving expenses and other necessary living expenses. Let’s take a look at how the process works. First, upon filing Chapter 7, you are entitled to the protection of the bankruptcy court through the “automatic stay”. This means all collection efforts against you must stop including a pending foreclosure action. This relief is only temporary but allows you to remain in your house after the bankruptcy filing. Second, the mortgage company may file a Motion for Relief from Stay action in the bankruptcy court asking the court for permission to seek foreclosure in state court. This process could take anywhere from 1 month to 3 months to complete. If the bankruptcy judge grants the motion, the mortgage company will then have to begin the foreclosure process in state court. In Florida, the foreclosure process could last anywhere from three months to several years and you can generally remain in your house during this period. 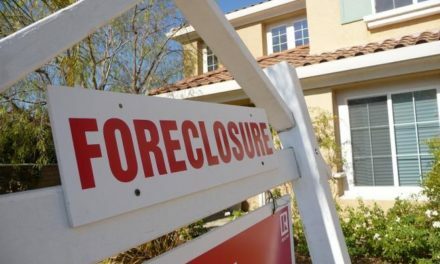 If the mortgage company does not file a Relief from Stay motion, the mortgage company will have to wait to start the state foreclosure action until after the Chapter 7 bankruptcy case is over. This occurs about four months after you file the bankruptcy case. As you can see, in Florida you should be able to stay in your house after a Chapter 7 bankruptcy for a minimum of four months. Lewis & Jurnovoy, PA is here to help during this difficult time and if you have any questions relating to your housing problems or other financial problems please give us a call and set up a free appointment. How Do I Know If I Need a Bankruptcy Lawyer?